but is there enough physical device bandwidth to run an OS off of a SD card? You can use the thinner MultiMediaCards with the SD slot. Cards that have a thickness or surfaces that exceed 2.1mm should not be used. 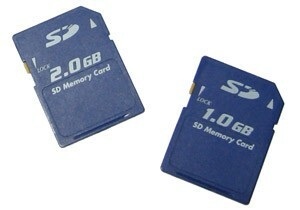 You can use standard SD cards (4MB to 4GB) and SDHC (4-32GB) cards in the slot. MiniSD, MicroSD, MiniSDHC and MicroSDHC can also be used with adapters. The SD card slot will work with Boot Camp for both Windows XP and Windows Vista. TUAWThat SD slot on the MacBook Pro? Not just for digital cameras originally appeared on The Unofficial Apple Weblog (TUAW) on Wed, 10 Jun 2009 15:15:00 EST. Please see our terms for use of feeds. Tagged with apple, macbook, macbook pro. June 10, 2009 by Ben Pike.